In Construction Workers, early readers will learn how construction workers tear down old buildings and build new ones. 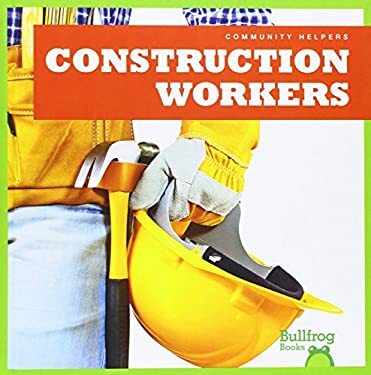 Vibrant, full-color photos and carefully leveled text will engage emergent readers as they discover what a construction worker's job is like. A labeled diagram helps readers identify the tools construction workers use on a job site, while a picture glossary reinforces new vocabulary. Children can learn more about construction workers online using our safe search engine that provides relevant, age-appropriate websites. Construction Workers also features reading tips for teachers and parents, a table of contents, and an index. Construction Workers is part of the Community Helpers series. New (1 available) BRAND NEW. Over 1.5 million happy customers. 100% money-back guarantee. Make your purchase count: support Better World Books' worldwide literacy partners.